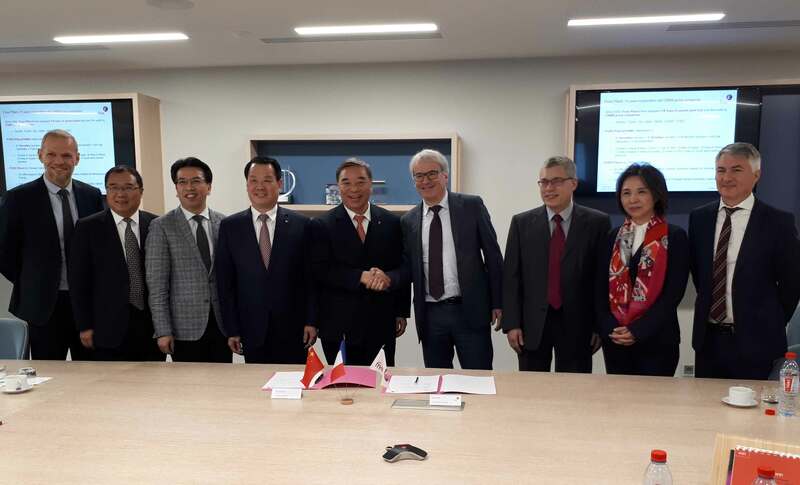 On January 26th, 2019, CNBM and Fives Chairmen Mr. Song Zhi Ping and Mr. Frédéric Sanchez signed a cooperation frame agreement to open avenues of collaboration. Fives’ expertise and ability to develop efficient technologies are thus acknowledged by CNBM, a global leader of building materials. This frame agreement provides that CNBM and Fives will explore projects together, in plant upgrade, plant expansion and new plants to implement Fives technologies. By partnering with Fives, CNBM, the largest comprehensive building material industry group in China with a leading position in cement production & plant construction, acknowledged Fives’ ability to develop sustainable technologies reaching the highest level of energy efficiency, emission controls and product quality.